Sit, relax and enjoy the sunshine as it pours through the many windows of this spacious furnished Centennial townhome with two bedroom/two-bath plus loft. Spectacular views of Dillon Reservoir and the surrounding mountains from one of the two decks of this front-row, end unit can’t be beat! An easy drive to the Keystone ski area, Dillon Marina or hiking trails for all of your recreational needs. Want to get to Breckenridge or Frisco? Take the beautiful drive over Swan Mountain Road or the scenic drive around the lake on the Dillon Dam Road. The Silverthorne Factory stores are just down the road. 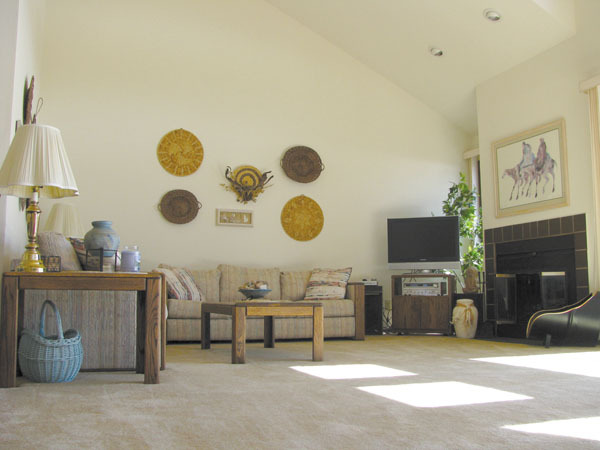 A total of 1,336 square feet on multilevels, gives you plenty of space to spread out. The convenience of having the kitchen on the entry level means you won’t have to carry your groceries up any stairs. The washer and dryer is conveniently located on the lower level with two bedrooms (one of which has a walk out deck) and a bathroom. The large living room with picture window, vaulted ceilings and wood-burning fireplace has lots of room for entertaining friends and family. The loft area makes for a quiet napping or reading area as well as doubling as extra sleeping space for your guests. Priced at $320,000, you can’t afford to pass this great unit up. Reasonable HOA dues of $312 per month include cable TV, common area maintenance, common taxes, insurance, management, snow removal, trash pickup, water and sewer. Use the Corinthian Hills neighborhood rec center for $150 per year. Get this property under contract by April 30 and close by June 30 to take advantage of the tax credit.